Sired by a Buckeroo son "Little Kings Big City Buck"
Just Sable-2003 AMHR National Champion Open mare. Little Kings Black Velvet. Now you can see why this filly looks so nice!!!! I have finally fulfilled a dream of mine that I have had for 15 years. Mike and I have just purchased the most beautiful tiny dark golden palomino yearling filly. 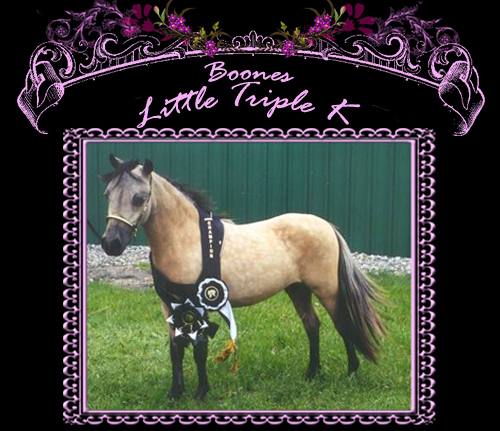 Her sire is the famous Boones Little Buckeroo and her dam is Little Kings Russian Rumor, a direct daughter of White Russian, who is triple bred Buckeroo himself. This filly will be dark golden palomino when her color grows out with a pretty feminine white blaze. We are very excited to add her to our selective breeding program. AMHA/AMHR. We are so proud to have our own bred horses join our breeding program!! 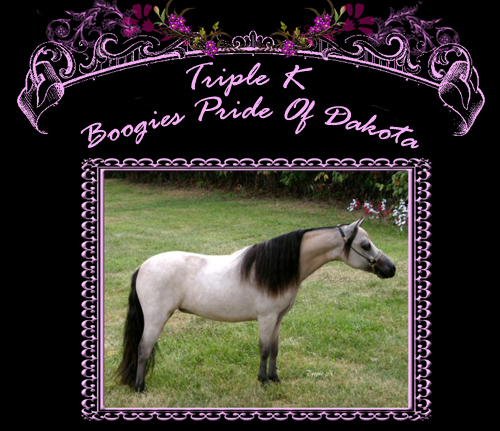 Triple Ks Boogies Pride of Dakota will be back in our possession. Reeces bought her from us a few years ago, did some showing where she did well. They then sold her, but due to horse dispersal the current owners asked us if we would be interested in her, and we grabbed at the chance. 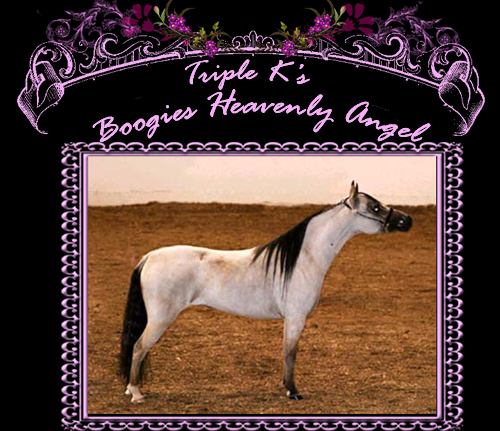 Study this... FULL SISTER TO---Triple Ks Boogies Echo Man, the well known Perlino stud. Her dam is Buck Echos Feverette, and her sire is the well known "Boogie Buckeroo," who we own, and has foals in many many countries, Netherlands, Sweden, Germany and several more, We are excited to welcome back Pride of Dakota. 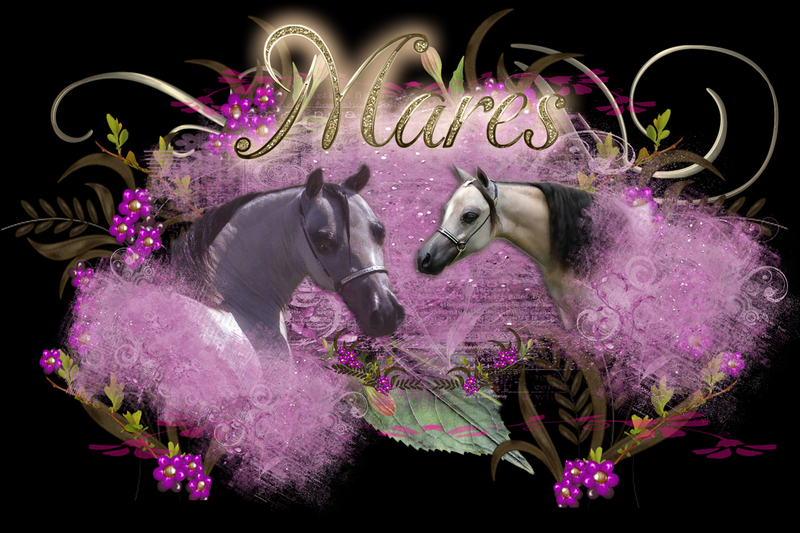 Isn't this mare gorgeous? The prototype we are working to raise! We are striving to own a full mare band that all look like this filly. 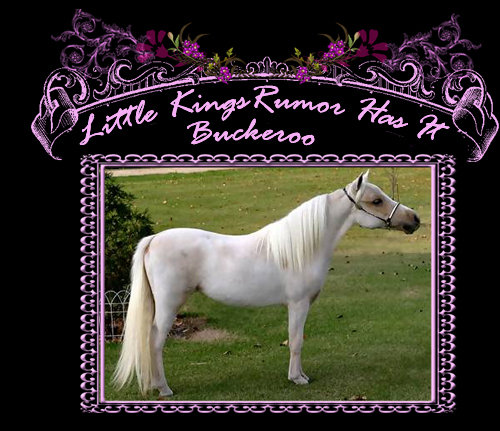 Her sire is BTU, and she is out of a direct daughter of Buckeroo. Sheza Dandy (also known as "Angel") was born in 1999 and was shown in 2001 by Ed Sisk and Val from Blue Ribbon Training Center! She was back on the AMHA show circuit in 2004 and AGAIN was the World Champion Amateur Mare!!!!! This is a very special mare. 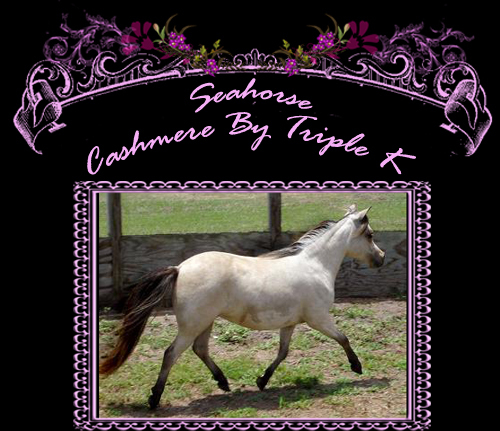 She was named 2005 AMHA World Reserve Junior Amateur Mare and Top Ten, and Honor Roll filly. 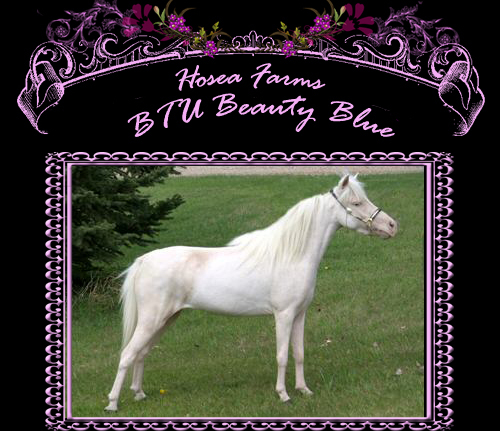 She is the daughter of Multi-World Champion mare BTU Sheza Dandy. Watch closely and be one of the first to own a special purchase from this World Reserve Champion Mare. Double bred Creme Buckskin Buckeroo! A full sister to BTU Sheza Dandy (our buckskin show mare), they are out of a direct daughter of Buckeroo and sired by BTU. What a cross! Here is that rare, beautiful crÃ¨me buckskin color again. Kay is small, and refined and we love her attitude! Out of a Buckeroo Daughter, and IMA Boones Little Buckeroo Too!!!! He is a multi AMHA WORLD CHAMPION. 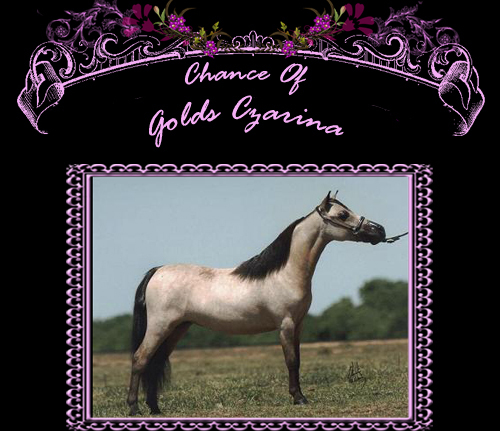 Golden palomino, and top conformation. Large eyes, dished head and that total Buckeroo look!!! Yes, yet another BTU daughter,and her dam is a Little Kings White Russian Daughter,Chance of Golds Kahlua N Cream. Look at this fancy BTU daughter!! Her neck goes on forever and what a body. 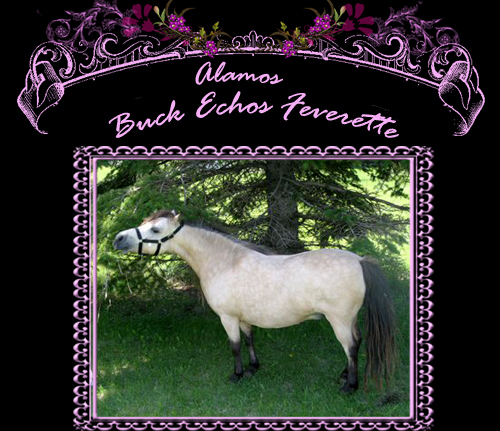 Her dam is Alamos Destinys Alamita, she carries BTU/Destiny in her pedigree. 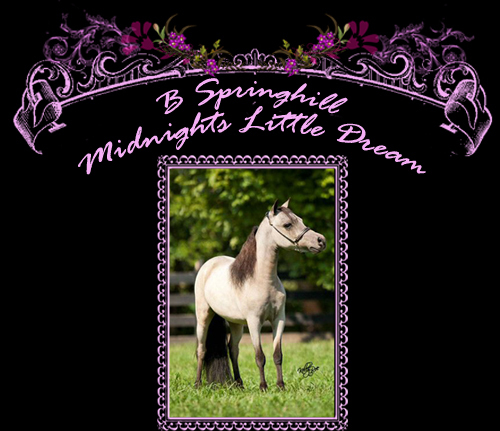 She will be in our breeding program and we know she will produce top quality foals! Yes, yet another of those coveted after DIRECT DAUGHTERS OF WORLD FAMOUS BTU!!!! Here is the other important item with this mare. 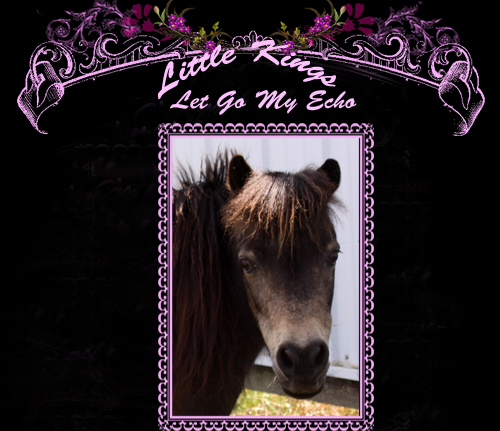 Her dam is a DIRECT DAUGHTER OF AMHA WORLD CHAMPION BUCK ECHO, Little Kings Let Go My Echo. Look at the quality on this filly. WHAT A SHOW FILLY! I love this mare, almost as much as our National Champion mare!!! This mare looks just like BTU Sheza Dandy. She has everything you could want in a broodmare. A daughter of Buck Echo. AMHA 2007 World Reserve Champion Yearling Mare 28 and under!!!! We are extremely proud to have Czarina at our farm. Her sire is WF Russian Gold, who is also an AMHA Reserve World Champion. Chance of Golds BT Whisper is her dam, A DIRECT daughter of BTU (IMA Boones Little Buckeroo Too) and out of a King Supreme daughter!! We are so excited to own this special filly. What a beautiful filly, when you see her you will want her, but she is not for sale. 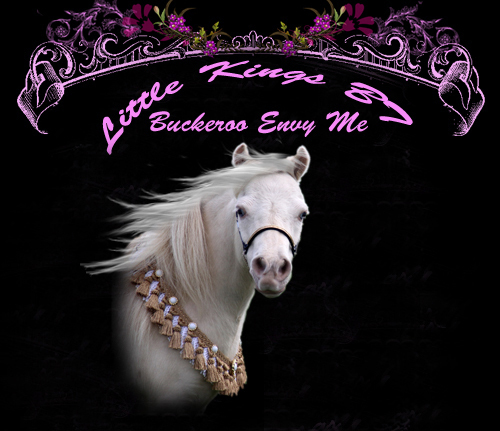 Her sire is Ten Ls Spirits Afterglow who is out of a direct son of AMHA World Champion Little Kings Buck Echo!!! Her dam is a beautiful bay mare Knells Awesom Presence. 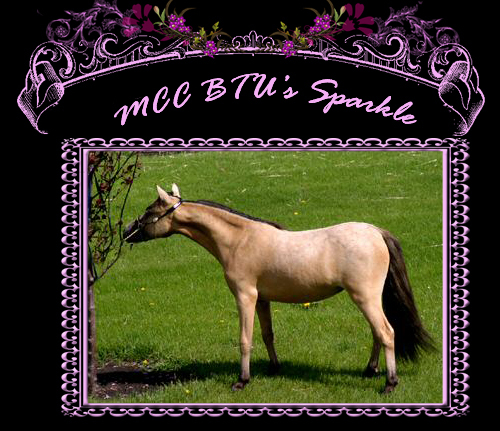 This mare is a very feminine mare and I know will surely fit well into our breeding program. 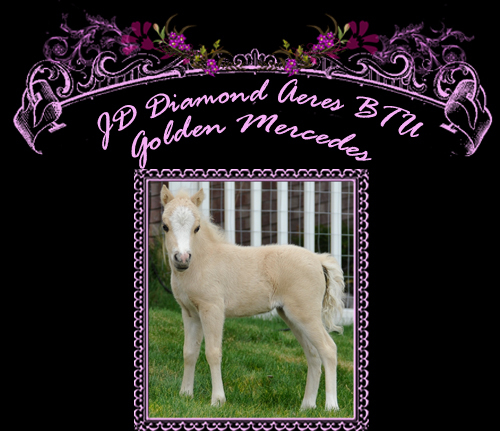 THANK YOU to our friends, Jennifer and Dan Hinckley at JD Diamond Acres, for allowing us to purchase this beautiful little mare! 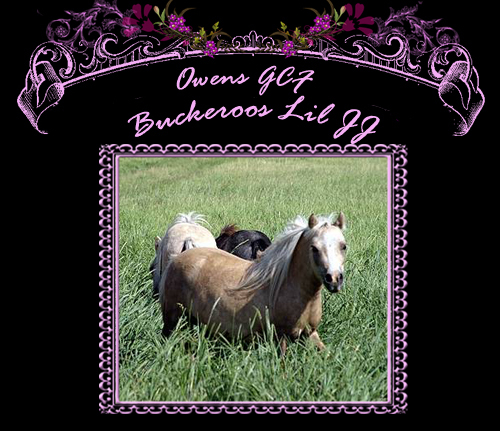 is a direct daughter of AMHA World Grand Champion Senior Stallion, Ima Boones Little Buckeroo Too aka BTU. We love this dainty little Perlino mare. 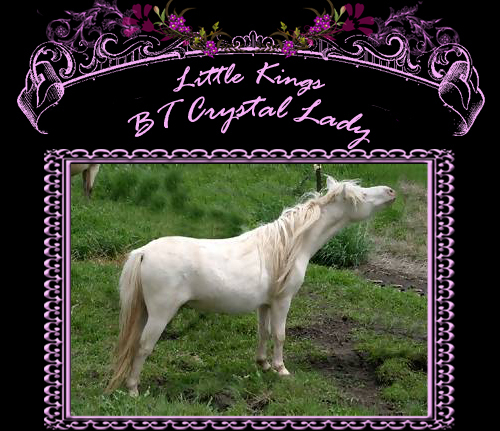 Crystal has that long slender neck and wonderful topline that is sought after with the modern looking miniature. is a young mare we are proud to own. Dreamer is sired by none other than Hunt House Farms Medalion. This filly's dam is sired by Majolicas Leatherwood Dream Boy!! She has claim to a very good pedigree. We are excited to continue her show career with 5 year old Kadence showing her next summer. Dreamer won the title of TOP TEN FUTURITY YEARLING at the AMHA WORLD SHOW 2010. Those people that are acquainted with our carefully selected breeding program will recognize immediately why we feel very fortunate to add this mare to our herd. deep rich red bay with a body that keeps itself in show shape. We are excited to own this beautiful mare. She carries Buckeroo on both sides of her sire pedigree, what a cross she will be with "Joker". 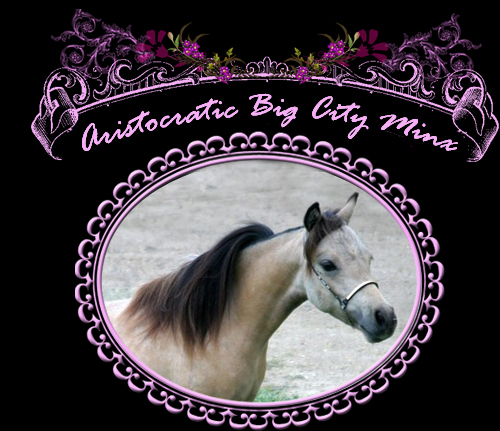 little 32.00 inch mares pedigree and you will KNOW why she is here. and AMHA WORLD CHAMPION "BTU" !!!!!!!!!!!!!!!!! What more could we ask for with this mare having both Buck Echo and BTU behind her!!!!!!!!!! 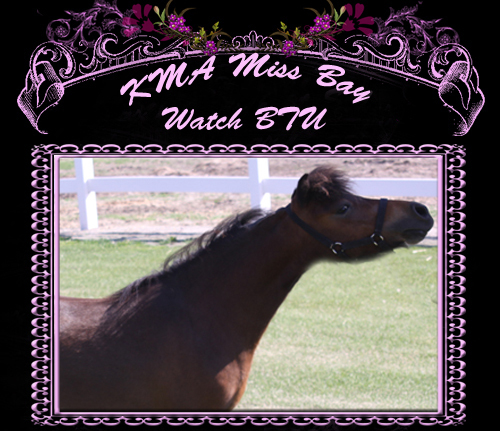 Dam of KMA Miss Bay Watch BTU. level topline and beautiful head and just fits right into our mare group. 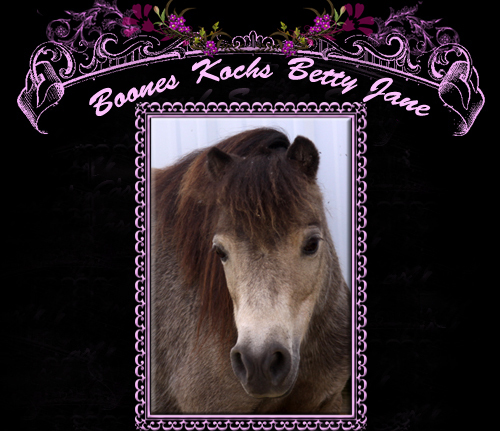 her dam Kochs Miss Brandy Wine, Grandsire is Little Hoofs Midget Mite.